The Member of Parliament for Sheffield South East, Clive Betts, was a guest at GB Boxing’s gym last week. The local MP was hosted by GB Boxing’s Chair, Steven Esom, and Chief Executive, Matt Holt. 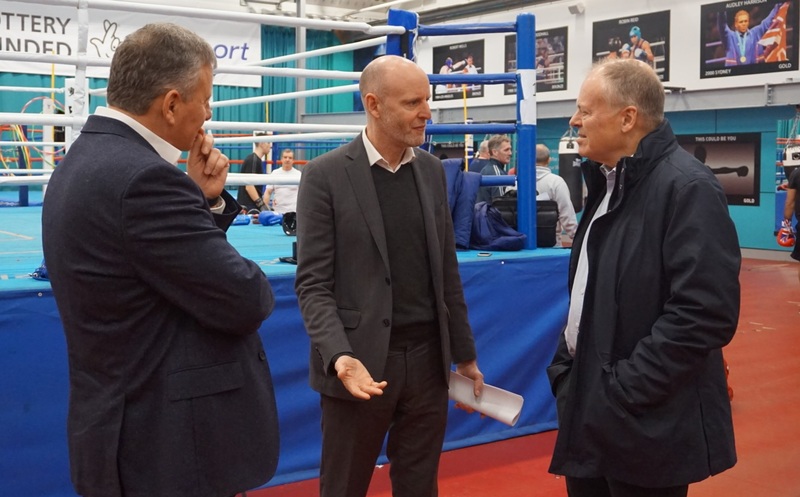 He was given a tour of GB Boxing’s training facility at the English Institute of Sport Sheffield and met with boxers, coaches, sport scientists and support staff from the world class performance programme for boxing. Betts was given an insight into the day-to-day work of the programme, which has delivered eight medals at the last two Olympic Games and seen boxers from the squad win 67 medals at 23 major championships since GB Boxing was set-up in 2008. 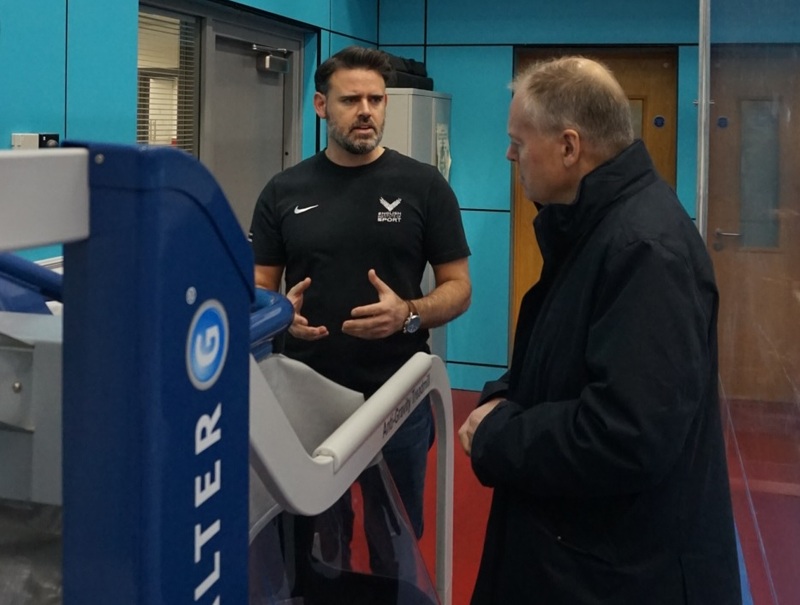 The tour included a demonstration of some of the innovative equipment which is used to the support the boxers including the i-Boxer performance analysis system and the hypoxic boxing ring. 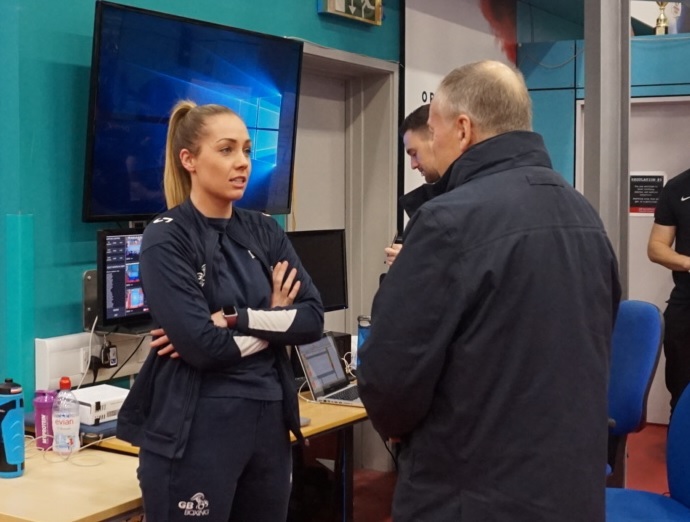 Betts also spoke with 2018 Commonwealth Games gold medallist, Galal Yafai, senior coach, Dave Alloway and several members of the sport science team from the English Institute of Sport that work with GB Boxing, including performance analyst, Jessica Smith and Head of Performance Support, Ian Gatt.